A buckwheat version of a classic. Experiment and adjust to your liking. 9 Servings Prep: 10 min. + chilling Bake: 15 min. In a bowl, cream butter, buckwheat honey and ground vanilla beans. Add flour and mix until well blended. Stir in the pecans and mix well. Chill for 30 minutes. Roll into 1-inch balls and place on a greased baking sheet (optional – place pecan half in center). Bake at 350° for about 15 or until bottom edges are golden brown. Cool on a wire rack. Yields about 1-1/2 dozen pieces. This recipe is for a bread machine. Add the liquid ingredients into the bread pan first, then the dry ingredients. Level the dry ingredients; quarter the butter and add to the corners. Make an impression in the center of the dry ingredients and add the yeast. Close the lid and select the whole wheat setting. This recipe makes a one pound loaf. This buckwheat breakfast recipe involves sprouting raw buckwheat for 3 days. This quick recipe takes only 5 minutes to prepare. Buckwheat sprouts are found to be rich in polyphenols and ﬂavonoids, especially the major antioxidant component – rutin. Ingredients for this simple dish includes apples, dried cranberries and honey. For the honey, why not try using Buckwheat Honey! Buckwheat honey is found to contain higher levels of antioxidant compounds then some lighter honeys. A recipe from www.thefitchen.com. Visit their webpage to learn how to sprout buckwheat. Buckwheat honey comes from the nectar of the flowers of the common buckwheat plant. Buckwheat honey can be a substitute for molasses in baking or barbecue sauce. Studies have also shown buckwheat honey to be more effective than over-the-counter cough syrup for treating a cough. Buckwheat honey may be an an acquired taste for some people. Its either you like it or you don’t. Buckwheat honey and dark honeys in general has been found to contain more antioxidant compounds then some lighter honeys. Antioxidants counter the toxic effects of free radicals that can lead to cancer, arthritis and cancer. 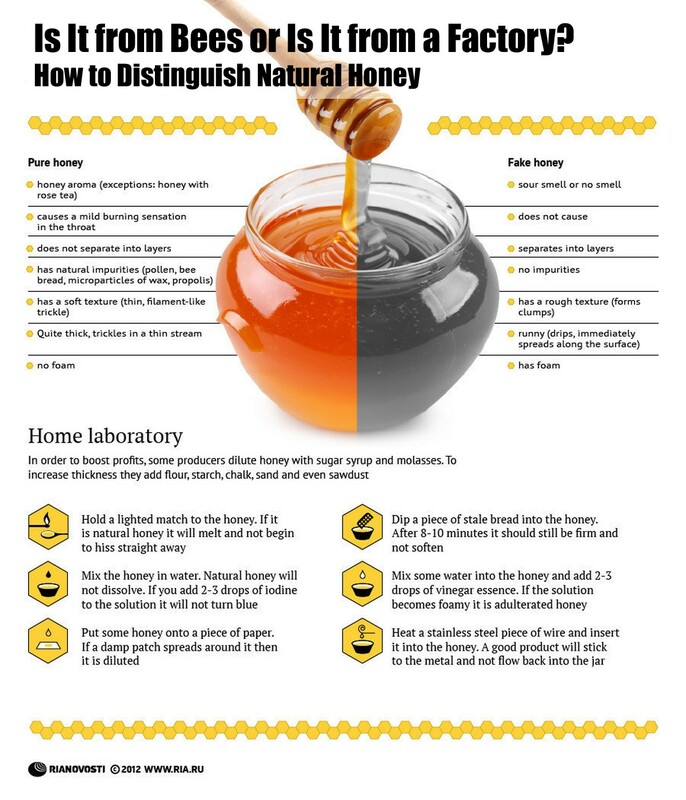 Polyphenol, the antioxidants that are present in honey are one of the chemicals which give honey its color. Apart from antioxidants, darker honeys also tend to contain more vitamins and minerals. Honey has been used since ancient times for its health benefits and is used as a sweetener and flavoring for foods and drinks. It is a healthy alternative to table sugar. Take 1 or 2 teaspoons of buckwheat honey and mix it into your favorite tea! Honey contains flavonoids; antioxidants which help reduce the risk of some cancers and heart disease. Honey helps with coughs, especially buckwheat honey. Honey helps the body regulate blood sugar levels. Some honeys have a low hypoglycemic index, so they cause a spike your blood sugar levels. Honey’s anti-bacterial properties are good for the skin, and when combined with other ingredients can also be moisturizing and nourishing. For example, face mask. Honey’s antibacterial and anti-inflammatory properties is said help with healing wounds, diabetic foot ulcers, and burns. Do note that it is not recommended to feed raw honey to young children due to the chance that botulism may be present.